Anybody keen to be on Leon de Kock’s team for a Digital Humanities project? Check out his blog here. Mbizo Chirasha describes the state of poetry and literature in Zimbabwe. Karin Schimke interrogates the meaning of the recent burning of the Zithobeni Community Library in Bronkhorstspruit. 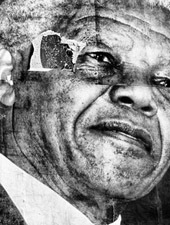 Daniel Roux reflects on the power and volatility of Mandela’s life story.